A divine display of feminine elegance thanks to the purple shade roses, harmoniously selected with dusty pink germini. All of this topped with white gypsophila and lilac chrysanthemums gives it a modern vibe. The bouquet was okay. My wife was satisfied. Charming bouquet made of all my favorite flowers! Prompt delivery. Nothing to complain about. This pretty bouquet was delivered to my door by a friendly man. I opened the box, saw this beauty and couldn't stop smiling throughout the whole day. The best gift ever!!! Sweet purple blooms! The bouquet arrived safe and at the time that they promised to deliver it. I was so happy to give this wonderful bouquet to my sister for her birthday. the flowers were arranged in the cutest way and it was no surprise that she totally loved it!!! My daughter enjoyed the bouquet very much! Thank you for your assistance and friendly attitude. A very sophisticated design and the flowers were super fresh – it’s been over a week and they still look lovely. Chose Purple Shades because of the amazing colour combination. 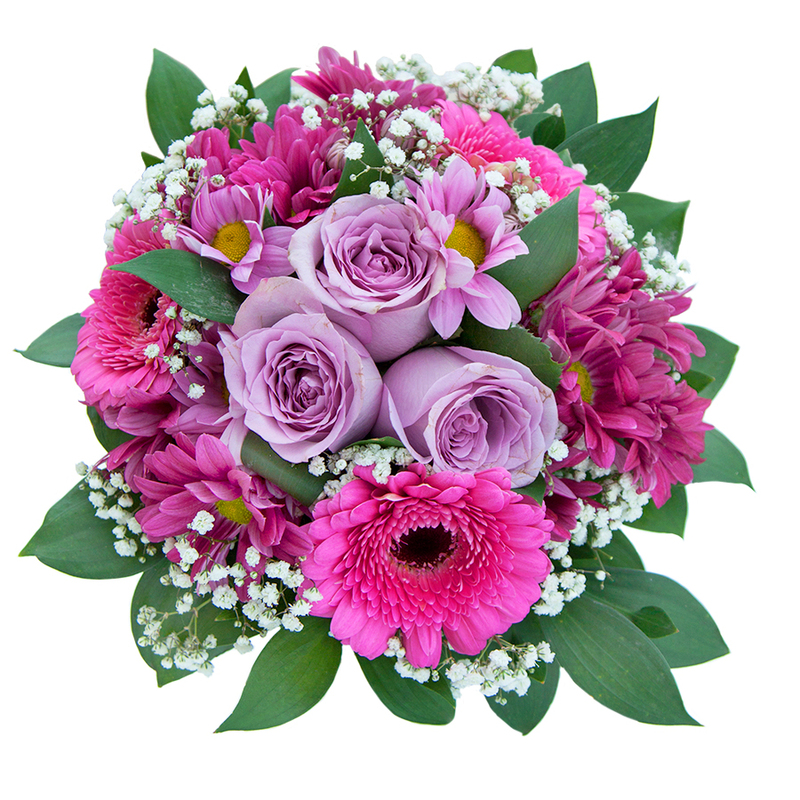 The flowers were delivered quickly, they were incredibly fresh and the price was more than fair. The flower display looked out of this world! Words cannot describe how gorgeous it was! Thanks! It was my first time ordering flowers online and I’m glad I chose this flower shop. They were very helpful and the bouquet I chose - Purple Shades - looked dazzling! Delivery was very quick too. Thought I’d try out Handy Flowers for the first time and treated myself to a lovely bunch of flowers. Was really impressed with the quality and service I received. Will definitely be using again. This was a gift for my girlfriend – just because. It made her really happy and that makes me happy, so thank you!